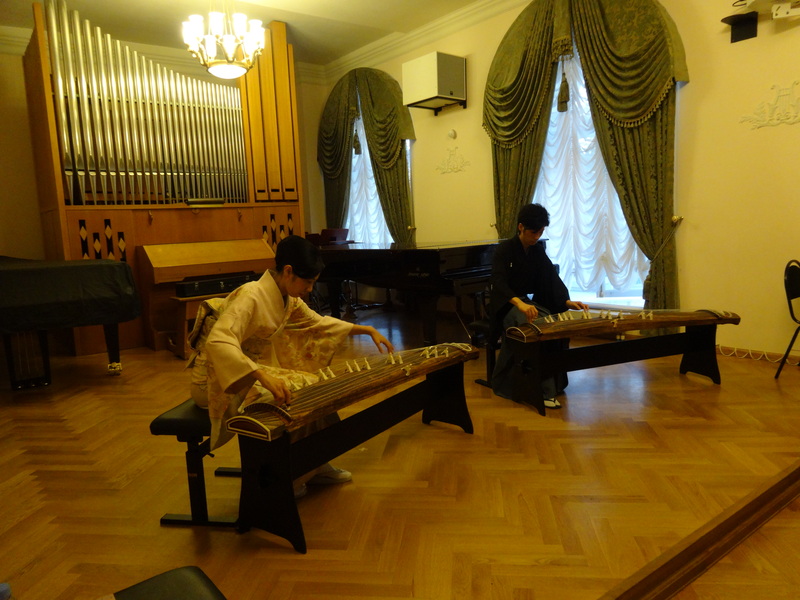 This year, I got a chance to play in Myaskovsky hall in Moscow Conservatory on Saturday, September 26, 2015. 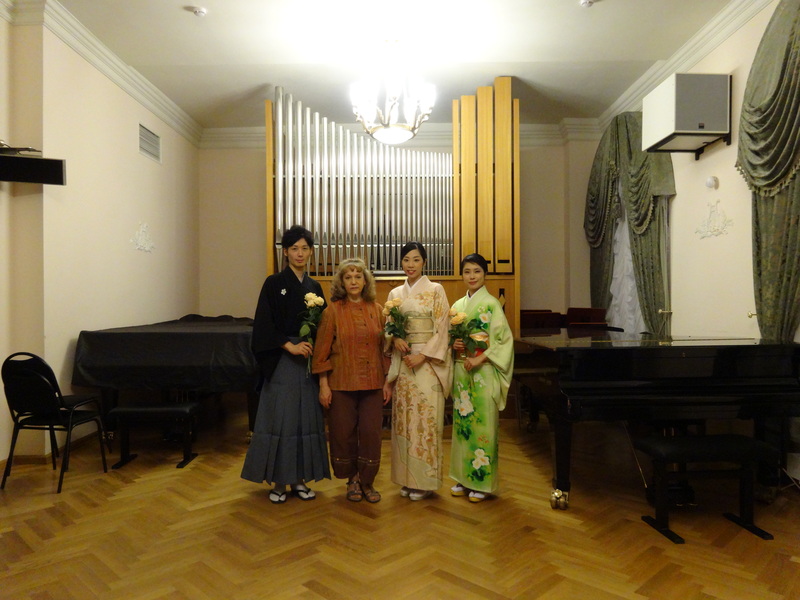 I was able to hold “Japanese Heart” concert thanks to enormous support and courtesy of Professor Margarita Ivanovna Karatygina of World Music Culture Center. I couldn’t have done this concert without all the people who supported me, such as Professor Karatygina, so I tender my cordial thanks to them. 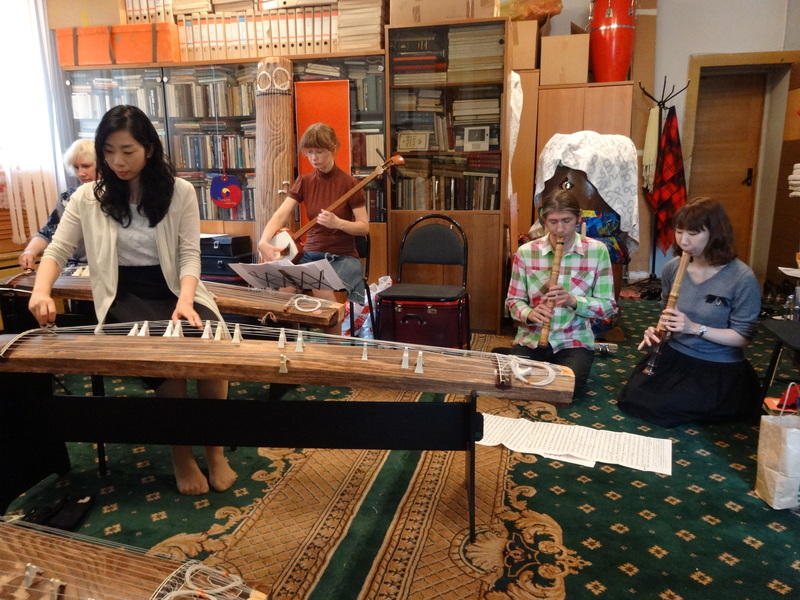 In this voyage, I had actual feeling that I was able to respond to the support for Japanese young players by doing my best play and transmitting Japanese Instruments’ sound to the audience of Moscow. Though it was my first time to play in Moscow, I felt that the hall was united and the listening concentration of the audience transferred to me while I was playing. Also, it was a fruitful experience contributing to my future activity to have heard warm messages and feedbacks directly from audience. I also had chance to observe the class of Ikuta school Japanese Harp professor in World Music Center and to do a joint play with the professor. It reminded me the power of music to share joy regardless of country and culture and also to bring encounter. It is my wonderful souvenir to have connected with local people through music in spite of language and country differences. This voyage was my first step of concert in abroad. 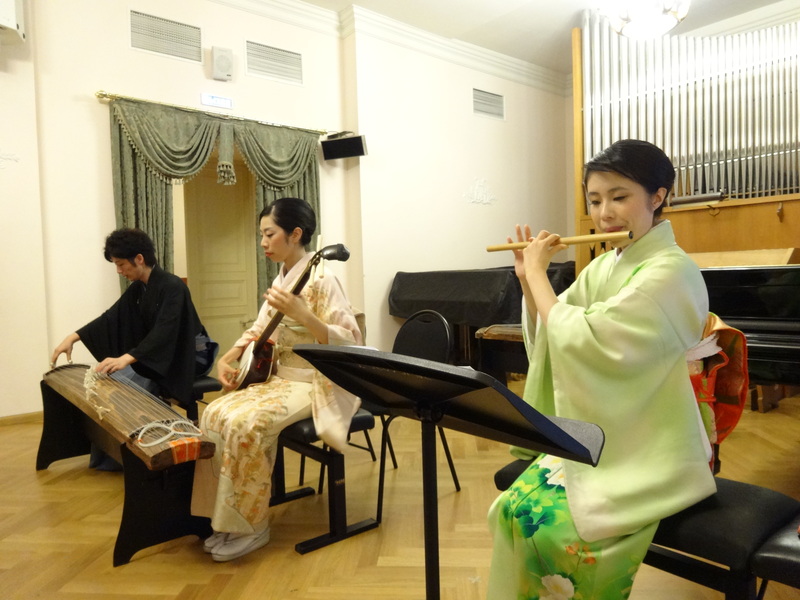 I will make occasion to play again in Moscow and continue my activity setting my own transmission as object in order to bring Japanese music to other country.